It’s a great intro into the designer toy world and how independent artists try to make a niche for themselves! 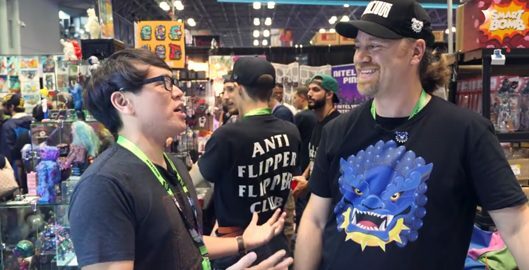 Not only a great video into our world, an introduction to designer toys, but also a great look at my Tenacious Toys Collective booth staff t-shirt as well! See the video below!